Jill Kilty Newburn, Heifer staffer stationed at the Hidden Villa education site in Los Altos, will speak about her Heifer Study Tour in summer, 2011 to Tanzania ! We'll see photos and hear about project participants -- always exciting to hear firsthand. If you have friends who are interested in Heifer's work, this is a great meeting to invite them to. Flyer attached. Eliza Penick, our longtime volunteer coordinator based in Seattle, will attend and will hand over the coordinator hat to Jill Kilty Newburn. 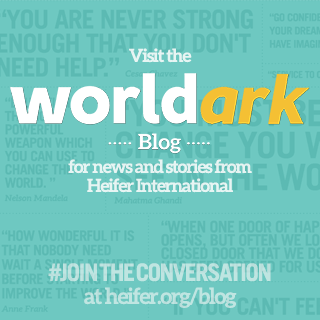 "Heifer University" weekend at Hidden Villa March 15 - 18: "Women in a Developing World"
- Park; you'll see the Clubhouse ahead. - Once inside the Clubhouse climb stairs to the left -- or just follow the sounds of Heifer-related chatter.